Why did it have to be a snake, you ask? My oldest managed to catch a snake for the first time. We found the old skin another snake had shed. 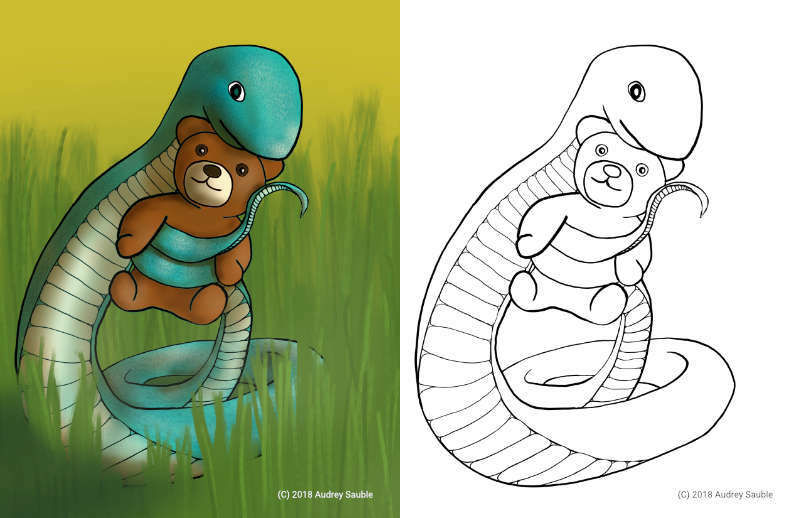 I just had snakes on the brain. So, yes--it was a snake. 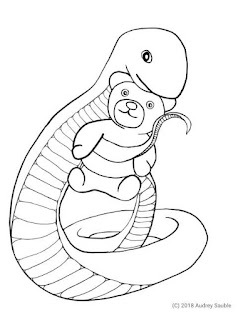 Here's a cute coloring page of a snake cuddling his teddy bear. 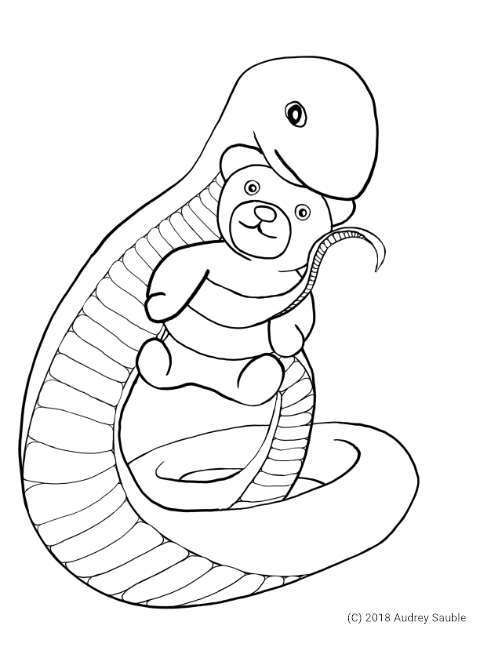 And here's the Dropbox link, if you want to print the page and color it yourself!